DYNASTAR SKI TOURING ADVICESHOW SHOULD YOU CHOOSE YOUR DYNASTAR TOURING SKIS? 1. The Dynastar Alti 80 ski and a light and durable LOOK HM 12 binding to help you access all the slopes where you want to leave your tracks. 2. The Dynastar Cham 2.0 87 ski is aimed at good skiers in search of a leisure free-touring ski. This light and very manoeuvrable ski offers high performance on all kinds of terrain and absorbs changes in snow conditions particularly well. It is combined with the LOOK HM 12 binding to open up access to all your dream slopes. 1. The Dynastar Alti 85 ski and a LOOK HM 12 binding to help you access all the slopes where you want to leave your tracks. 2. The Dynastar Mythic 97 ski is aimed at good skiers in search of a free-touring ski. This very light and very manoeuvrable ski offers high performance on all kinds of terrain and absorbs changes in snow conditions particularly well. It is combined with the LOOK HM 12 binding to open up access to all your dream slopes. I am an active ski tourer. I am looking for a very light ski that I'll barely notice I'm wearing on steep gradient tours. I also need performance on both the ascent and descent. In this case, I would choose the Dynastar Mythic VERTICAL ski with a rocker, one of the lightest touring skis on the market. I am a ski-mountaineering competitor or champion and I am looking for ultra-light equipment for maximum effectiveness on ascents. I would also like a ski that is stable on descents to save as much time as possible. I would opt for the Dynastar Pierra Menta ski with a rocker, the lightest ski in the range. WHAT ADVICE CAN YOU GIVE TO HELP ME STAY SAFE WHEN SKI TOURING? 1. Go out with someone more experienced (guide, expert) to begin with. 2. Never go out on your own. 3. Check the nivology (avalanche reports) and weather forecast (for the actual day and the days leading up to it): it is these two elements that will influence your choices. We strongly recommend that you consult specialist mountain weather websites. 4. Avoid days where the night freeze-back is insufficient: when temperatures are high and the wind is strong. This increases the formation of wind slabs and therefore the risk of avalanches. Be prepared to abandon your tour in the event of doubt. 5. Always carry an avalanche transceiver. Wear the transceiver on your body, below a layer, rather than in a bag to avoid losing it. There is no point carrying a transceiver if the skier does not know how to use it and is not equipped with a shovel or a probe. Carry out a transceiver test before setting off (the tour leader asks the group to line up and checks detection between devices). 6. Save the numbers of mountain emergency services (these vary depending on the mountain ranges). 7. Switch off your mobile phone during the ascent as this will reduce the precision of the avalanche transceiver in the event of a search (waves). 8. Develop analytical skills: learn how to understand a topo and its ratings to avoid overestimating your abilities or placing yourself in danger, i.e. to allow you to adapt your itinerary and estimate risks in the terrain (slopes, snow cohesion, exposure). 9. Carry an essential survival kit (warm clothing, food, water, mobile phone, IGN map, fully charged headtorch, survival blanket, altimeter, compass). 10. Do not listen to music during your tour to make sure you are more alert to any noises (slides, avalanches, rock falls, people in distress). 11. With regard to skins, avoid wet snow wherever possible (it will build up under your skis, increasing weight and greatly impairing grip). Before the descent, place your skins on the protective sheet rather than sticking them to each other to preserve the adhesive. 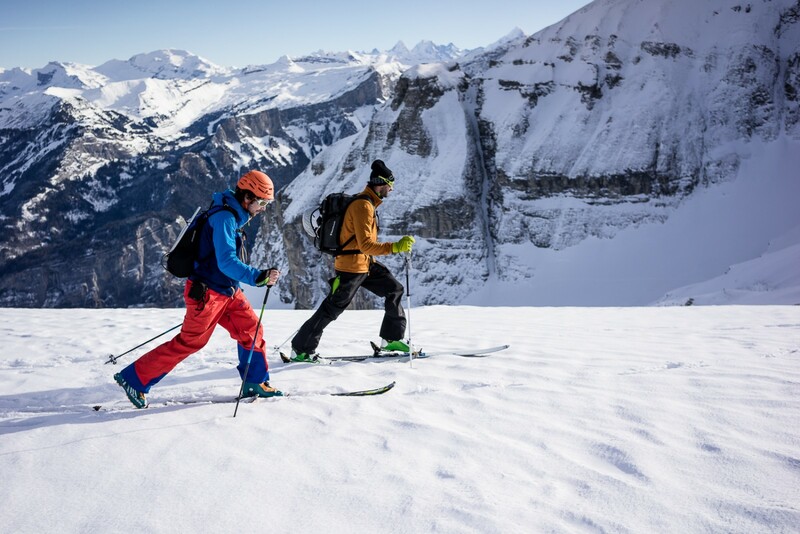 View the range of Dynastar ski touring skins. 12. Lower your climbing bars during the ascent using "crampons" (used on slopes with very significant superelevation) on your feet. Otherwise, there will be no grip and this will increase the risk of falling in icy terrain (often on ridges close to summits). 13. Opt for brightly coloured clothing where possible as this will provide a marked contrast with the snow in the event of a search. 14. 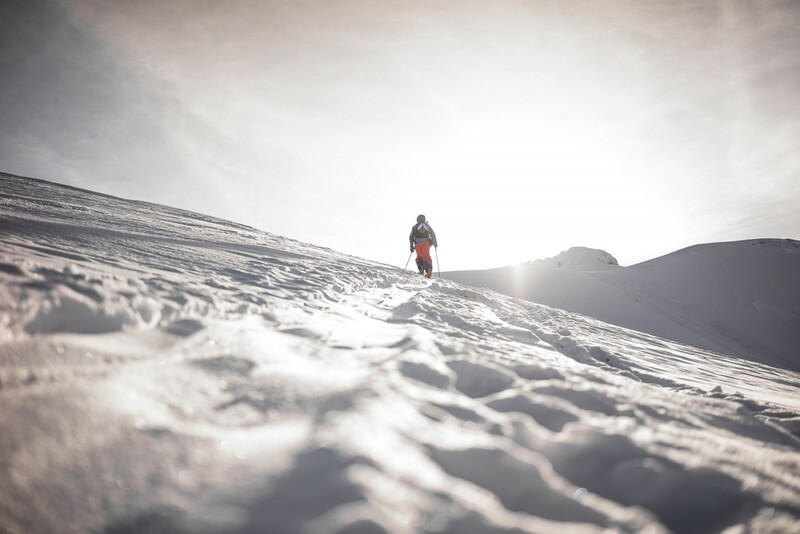 Follow the ascent route or stay close to the ascent route during the descent to avoid certain objective dangers (crevasses, seracs, rock bands), as your tracks will provide guidance. 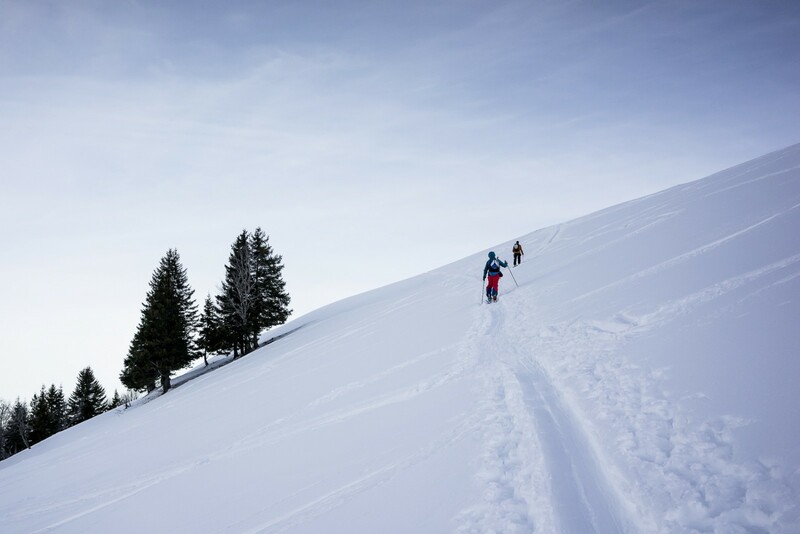 Only ski touring experts should venture further afield as they are familiar with the terrain and skiable areas. And most important point: HAVE FUN!